This parchment Bear Tracks Lamp Shade has a vintage look with hand painted bear tracks. 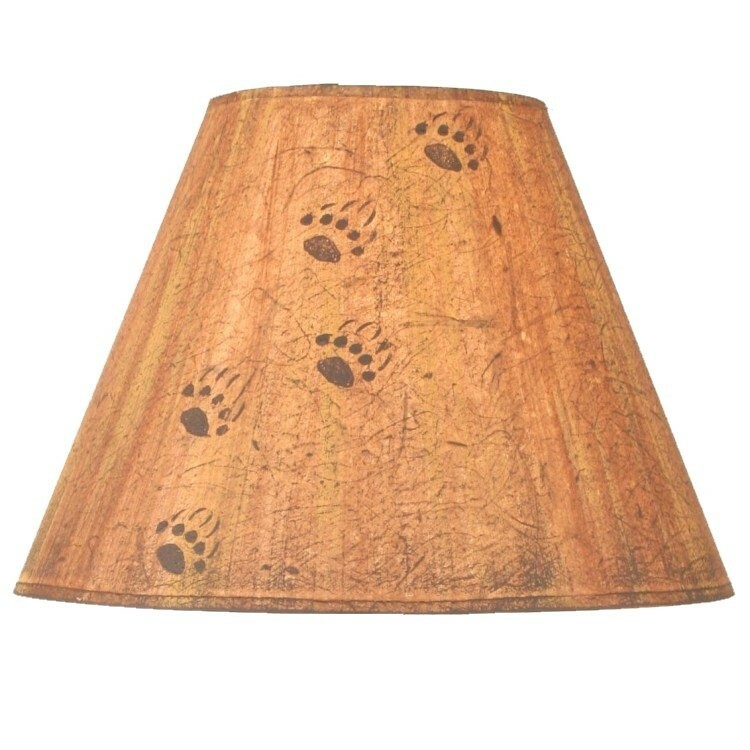 This replacement lamp shade can add a touch of fun to your rustic lodge decor. Please allow approx. 7-10 days for shipping. NOTE: Your lamp will require a harp to attach shade for all sizes except the smallest which is a clip on.